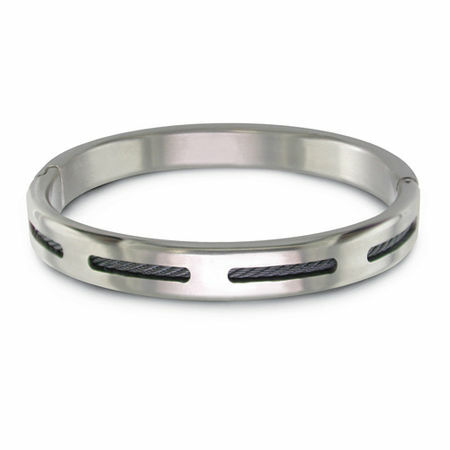 This elegant high polished titanium bracelet is really set off with the black titanium cable inset. You really get a sense of dimension with the black cable showing through the cut out designs on the top half of the bracelet. Very bold design measuring 10 mm wide but it's still so comfortable because of titanium's light weight. 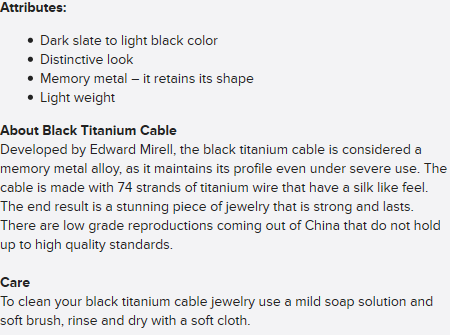 A wonderful complement to one of our black titanium rings! Available for men or ladies 8".